Architect Armand-Claude Mollet built a town house in the early 18th century between the Grande Rue du Faubourg Saint-Honoré and the Grand Cours (the Champs-Elysées),to serve as a residence for the Comte d'Evreux. At his death in 1753, the Comte d'Evreux left a town house that was admired by all his contemporaries. In 1816, the Elysée definitively became part of the Crown estates. 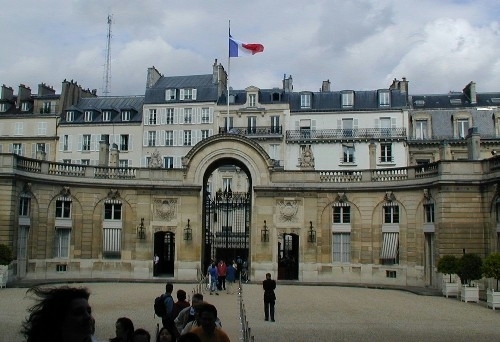 On December 12, 1848, the National Assembly issued a decree designating the "Elysée National" as the Residence of the French President.